The Name of the Wind is one of the most enjoyable fantasy novels I have ever read. It is among my all-time favourite novels. It is also the first book in a trilogy. Now, after a long wait, the second book is out. The Wise Man's Fear picks up where Name of the Wind left off. We're still in an inn, somewhere in the sticks. We're still watching the innkeeper, Kote, his apprentice, Bast, and the Chronicler. Bast is someone from Faerie. Chronicler is there to record the life history of a famous shaper of history, Kvothe. Kote is Kvothe, in hiding... and his story is now in its second day of telling. Kvothe's story is swashbuckling, energetic stuff. Read the blurb on the back of Name of the Wind, and you know you're in for a tale of adventure. The same is true for Wise Man's Fear: adventure, hijinx, magic, and all told in beautiful prose with a real sense of music and rhythm and an aural aesthetic to it. This is exciting, plot- and character driven adventure, written in a masterly way. Despite all that, there are reasons why Wise Man's Fear does not get the perfect rating that Name of the Wind got from me. The first of these may be quite subjective: I like Kvothe best when he's at the University. Name of the Wind took him from childhood to University, and then, in the final act, to follow a lead and find a dragon (well, draccus) and have a big adventure as finale. 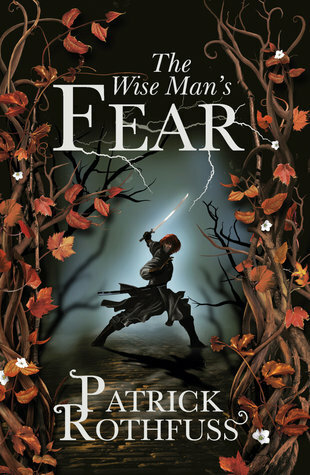 Wise Man's Fear is different: we spend the first third of the book at University, and then Kvothe finds himself going out into the wider world in a self-imposed exile for two terms. He has adventures, spends time at court, chases bandits, learns kung fu, becomes the world's greatest lover, ... well, not quite, but almost. For me, those parts of the book simply did not quite have the same fascination. For a writer who really likes women, and seems to respect them, populating his novels with a variety of confident, competent female characters, it seems a little bit disappointing. It's as if Kvothe's clumsiness around women could not be resolved gradually, as if something had to pop, and as if Kvothe was somehow never going to get there with real women... It's not the most satisfying or gratifying way to do character growth. This is also the place where the book seems to get bogged down a bit in silly phrases. Where the language has been beautiful and elegant throughout, it suddenly turns corny. Sexual positions get names that could be straight from the Karma Sutra ("the thousand hands", "the twisted lotus flower"), and, not long thereafter, Kvothe learns his world's equivalent of Yoga and Kung Fu, and each movement has similar sounding names ("the falling leaves", "the itching backside" ... well, not perhaps the latter) - after one and a half books of beautifully written, exciting prose, the reader is suddenly faced with about three hundred pages of slightly cheesy shorthand spoiling the otherwise ornate aural landscape of the story. Finally, the biggest reason why the book lost a star is quite simply this: Kvothe fails Denna in one way. Let's just say he is informed of Denna being in a situation she could probably use some saving from, and he makes choices that lead him towards trying to find out more about the Chandrian, rather than towards finding her and helping... Yes, the Chandrian, and the murder of Kvothe's family when he was a child are important things. But now, years after the fact, and after so much emotional investment in Denna, I would have expected him to put her wellbeing before his own revenge, any time. And yes, he might not have known where to find her or how to help her, but he does not even try. It certainly deducts from his hero-points. I should clarify something at this point: I have spent most of this review highlighting elements I found frustrating or disappointing about the novel. 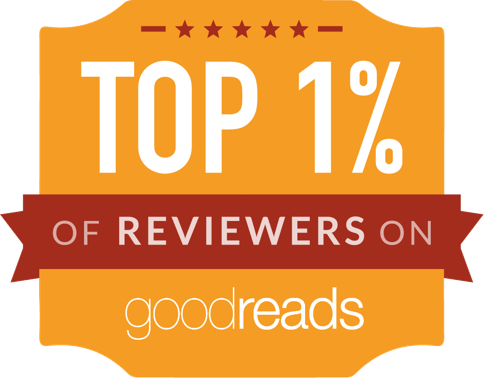 However, this does not mean the novel is bad, or average, or merely OK. No, this is a very good, very well-written, very enjoyable novel. It's 1000 pages long, and I read the first 250 of those in one hungry leap. The reason I go into negatives is simply that they stand out, in this novel of masterliness. It's a bit like spending a week in the most beautiful, sunny holiday spot on Earth, and being rained on for half an hour of that week: when the holiday is over, I remember that half hour in more detail than the week of joy. So: this novel is very good. It is a wonderful sequel. It is not as flawless as the first, and it had stretches where I wanted it to be in a different place, take a different direction. But it is still good.